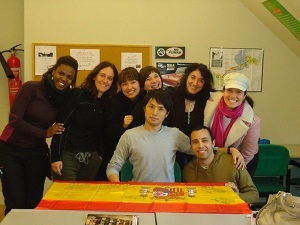 Pamplona Learning Spanish Institute: �Our school is located in one of the most emblematic historic buildings of Pamplona, surrounded by a park which overlooks the old walls of the city and only 5 minutes on foot from the centre of the city. We have six classrooms, a library, a cafeteria, a restaurant and an auditorium. We offer general Spanish, preparation for DELE exam and also Spanish for specific purposes: Spanish for engineering, Spanish for Medicine and Health and Spanish for Business. We have six different levels according to the European Equivalence. Our lessons are 55 minutes and the maximum number of students per group is 8. 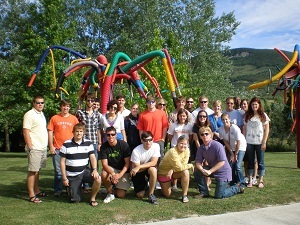 We also organize accommodation and activities to our students. We are members of FEDELE, FORUM EA and AELE. We are the only school recognized by the Instituto Cervantes in Pamplona. Pamplona is a small city, 200.000 inhabitants, very safe and one of the greenest cities in Europe. It is well-known due to the San Fermin festival, the running of the bulls and Hemingway (The Sun Also Rises). It is also part of the Pilgrim`s Way to Santiago de Compostela.